Thanks for the reply MarkOZLAD. I didn't do the mux approach because it looked too complicated for me. I would have needed a lot of help and didn't want to impose. I could still try it though. I reviewed your design and it looks fine. The only thing I can think is that you've messed up in the implementation somehow. 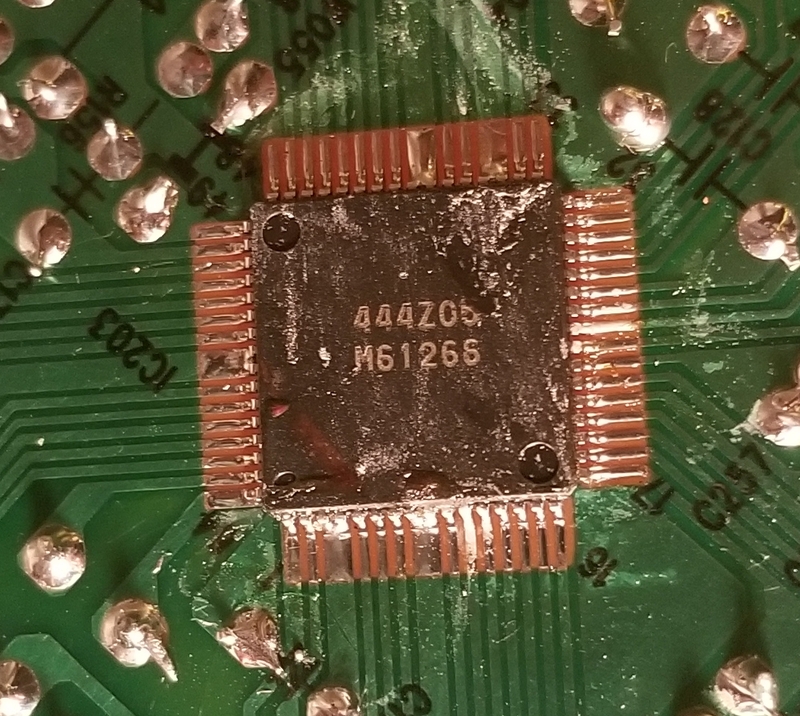 Left a blob of solder somewhere or something has a bad connection. The Red showing is a great sign. Get your multimeter out and take measurements of continuity and resistance to ground on places on the red circuit and then do the same on green and blue and try look for differences. As for the mux approach, I'd be more than willing to help. I already had notes on this exact chassis and as I'm not advanced enough in my electronics knowledge yet to know the exact method so I was going to recommend the use of a potentiometer to empirically determine the correct resistor size for the mux. The mux approach is generally WAY EASIER than OSD Snip to implement. Simple, cleaner and better. Just need to study the chassis and the method a bit and think about where you inject your RGB. Note: I rarely use diodes anymore which makes it dead simple. It really isn't something to be scared of. Theres 2 ways to tackle the "mix" method Mark and I use. 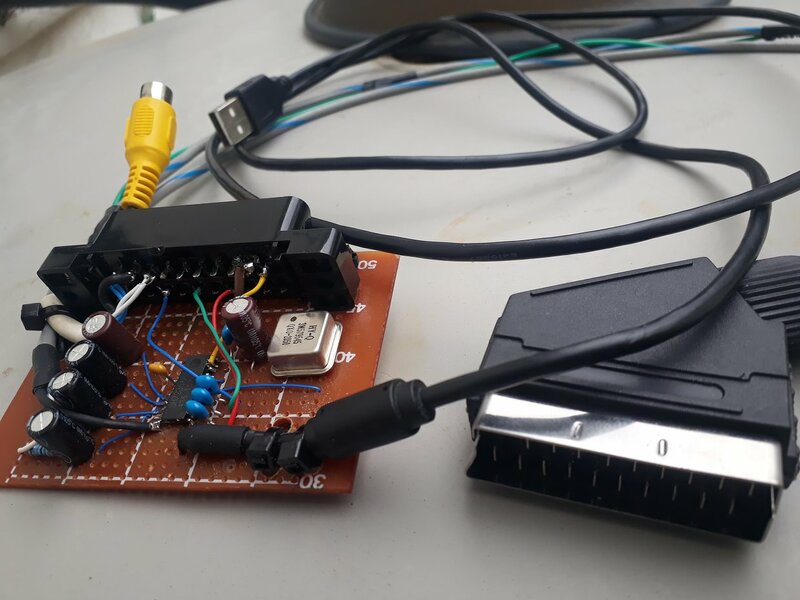 If you don't care for figuring out values or using stock traces then you can pretty safely build a board that will turn osd 5vpp signal into .7vpp and mixes it and rgb into the jungle. It's more parts but the same for every set, youd just isolate osd and jungle rgb pins and connect it all up. Even if the Jungle requires .5vpp I've found that in reality these analog chips have headroom up to almost a 1v. I'll build a simple through hole component board, take some snaps tonight and start a new thread I think.. Mix is definitely the correct term, I guess mux sounded cool but we clearly aren't mutliplexing. 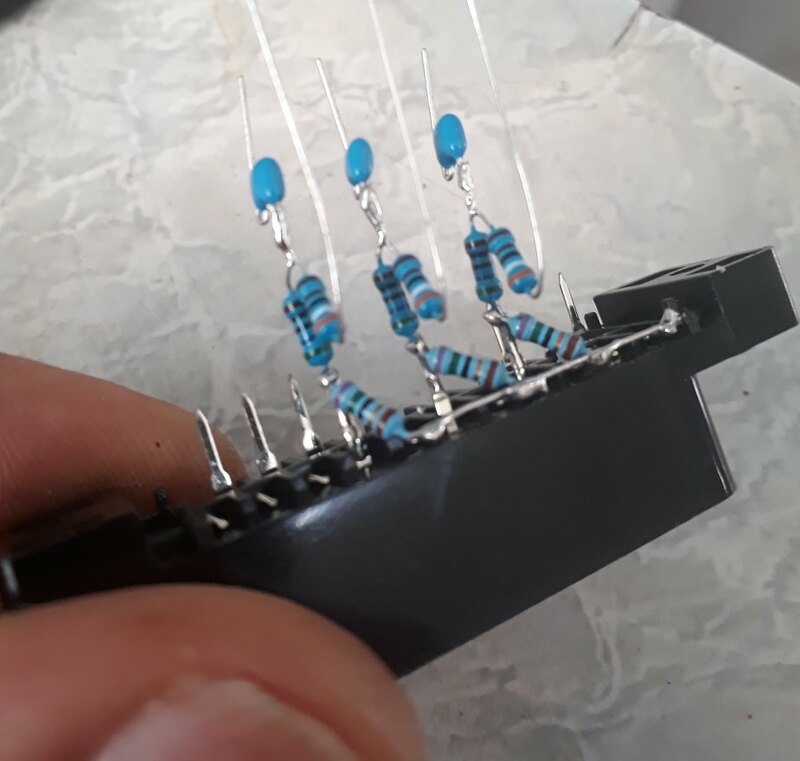 If your TV matches the pattern of the OSD/Ext RGB Mix/Mux method....and you have through-hole components, the method can be as simple as ungrounding the leg of OSD RGB termination resistors, attach a 75R to them and ground the 75R and then soldering your RGB lines between the two. If you have SMD you will likely want to remove the SMD termination resistors from the OSD line, find a place on the OSD RGB to inject your RGB and then choose an external RGB inline resistor somewhere around the value that you removed minus 40. Then terminate the Ext RGB to ground via 75R. Of course, the spreadsheet will provide more accurate Ext RGB inline resistor size choices but these ways are generally close. As Syntax was saying there is generally headroom on the RGB inputs up towards one volt, plus OSD RGB is generally digital so it won't really matter if it gets clipped. It's on full voltage or off. Thanks guys. I'll check my work again with a multimeter and look for errors. EDIT: When I check for ohms on each of the three 75ohm resistors I get 75 on red and about 40 on blue and green. Is this normal? Last edited by cargo on Tue Aug 21, 2018 6:18 am, edited 1 time in total. I'll check my work again with a multimeter and look for errors. EDIT: When I check for ohms on each of the three 75ohm resistors I get 75 on red and about 40 on blue and green. Is this normal? Is that resistance from ground to blue/green? Should be 75R on all colours. All three resistors have one leg soldered to the same ground. Thats fine. If you measure resistance from each colour to ground you should get a reading of 75R. If not you have a problem. 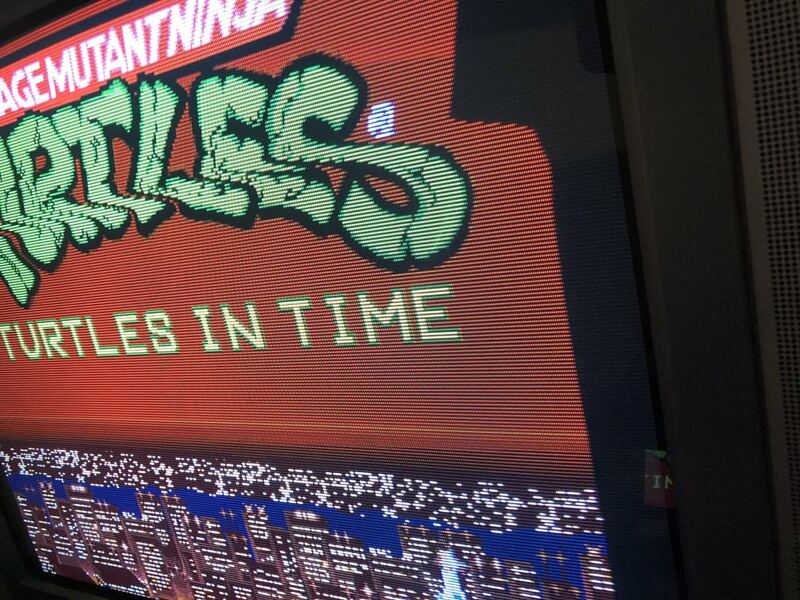 I happen to have this exact same TV and was able to RGB mod it while retaining OSD function today. Remove RR07, CR01, CR02 and CR03, these are tying pins 3 through 6 to ground. You will want to interrupt the jumper wire that connects pin 6 of the TA1310N jungle to pin 21 of the QA01 microprocessor, making sure there is nothing else on the line going to pin 6. I wired it so the original circuit going to QA01 could be restored with a SPDT switch, including a 1k ohm resistor to ground (which was RR07.) The other end of the switch you want to be 3 volts, I got it by tapping the 7805 and feeding 5V through 20k ohm and 30k ohm resistors in series to ground, and getting 3V in the middle of the resistors. 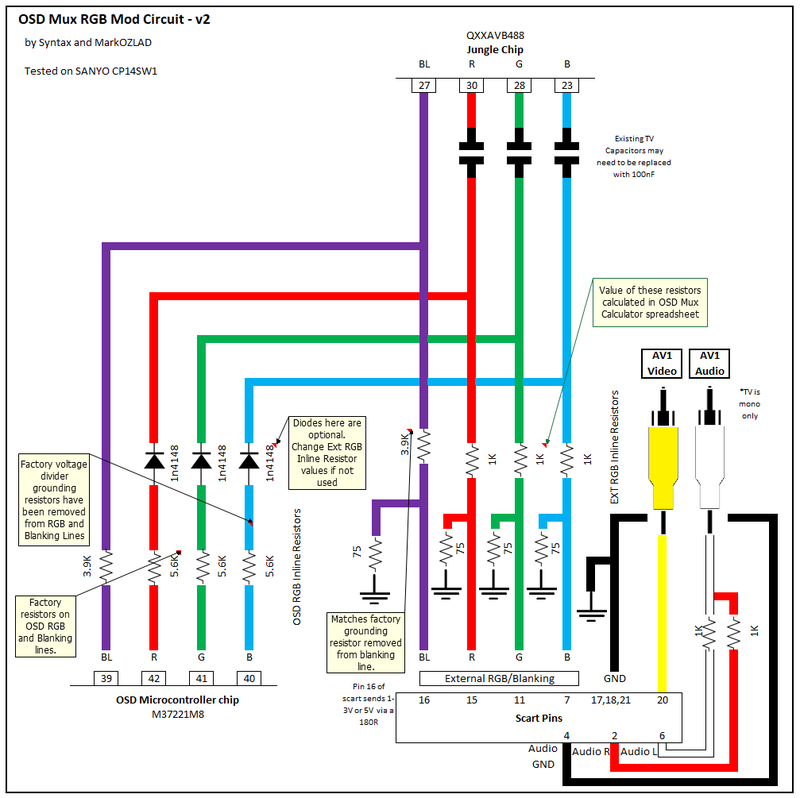 If you refer to page 92 of the TA1310N datasheet there is an example circuit that shows a similar configuration for a three-way switch between RGB (2.1V and up), half-tone (partially transparent OSD? that triggers below 2V) and totally grounded for the other inputs like composite/s-vid/component. 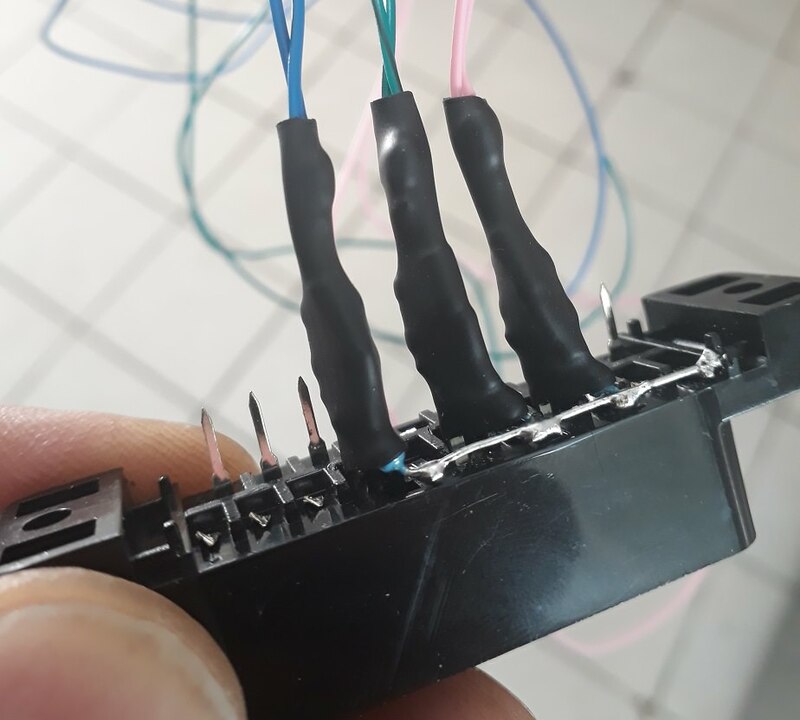 Feed your RGB lines to pins 3-5, making sure you have each line tied to ground with 75 ohms and going through a 104 cap before entering the jungle. Then you just feed 3 volts to pin 6 and that's it. OSD still works. I'm /very/ happy with this set. I'll post pictures later. I am reading 75ohms on all RGB lines. Tested for continuity and OK for all wires and scart socket. My multimeter reads about 3V for the blanking signal. The fuzzyness on the video game pics is from the camera. Same as before it looks sharp and clean in person (in spite of lack of color). Wish I knew what's wrong. Last edited by cargo on Mon Aug 20, 2018 3:38 pm, edited 1 time in total. Wish I knew what's wrong. Your red and green lines are connected somewhere, perhaps after the Caps. (I've had this happen before, love a MMB mod! - Mustard,Mustard, Blue). Inspect closely and you'll find it. Very close now. Sometimes during testing I would forget to connect the blanking pin. Since I was using the composite signal for sync the TV would show that image instead. After hours of work it was easy to get confused. On the other hand when doing it on purpose (eg, flipping off RGB on the switch) you still get to see the video game image (albeit composite). It's not mixing but still useful for menu settings. Thank you MarkOZLAD for all your help. Last edited by cargo on Tue Aug 21, 2018 3:17 pm, edited 4 times in total. Nicely done. Markozlad diagnosed that like a boss. I tried out a one size fits all approach to the OSD mix yesterday. All the parts used were.. It not usually how id do a mod but I just wanted to prove how simple this is. Also PSA for anyone that's ever modded a SONY CRT. Enter service menu, find "SBR" and turn it down a few numbers to taste. Last edited by Syntax on Tue Aug 21, 2018 10:04 pm, edited 2 times in total. So if I wanted to begin the homework part for a mix mod where would I start? I am interested in trying the mix method on a smaller (20 incher) Sony KV-20M20. It's a Trinitron with a mono speaker and one composite input. 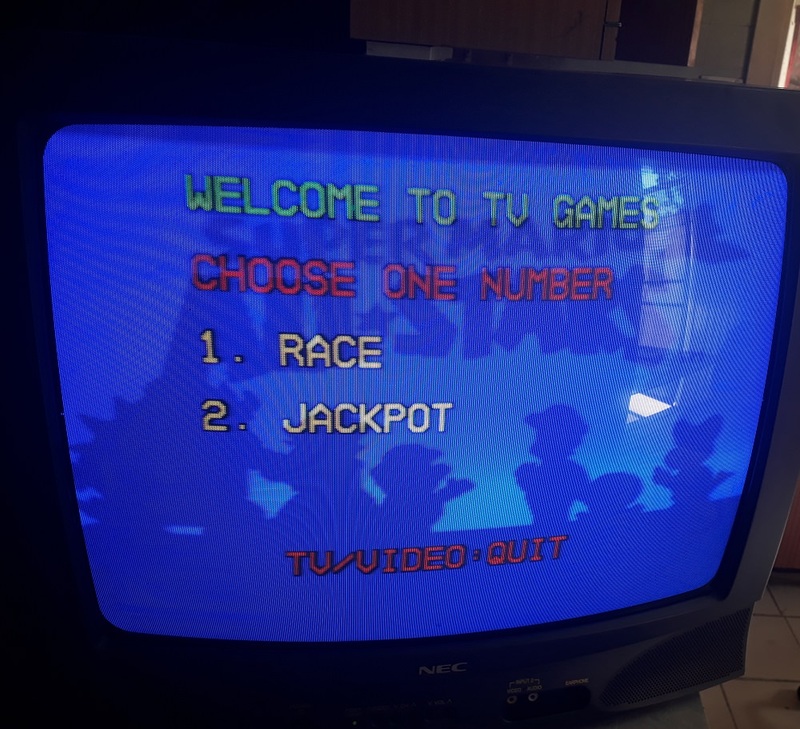 Probably the most basic Trinitron mentioned in this thread so far. What's cool about this board is that it has empty (but functional) solder pads for RGB and sync! The lines from the OSD go through normal sized resistors (and one SMD resistor under the board) before reaching these empty pads. The board itself has scribblings that almost seem to say "RGB goes here!". It looks like this TV should be easier to work with. 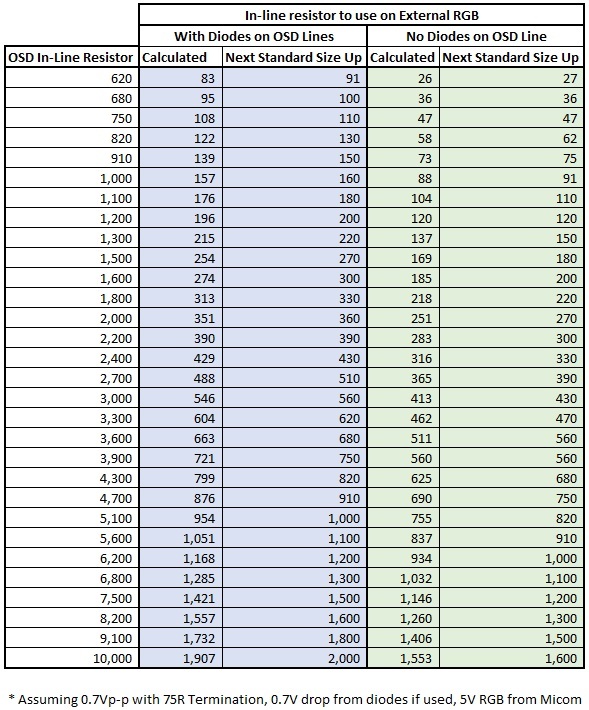 Based on this info am I correct to assume the blanking voltage has to be between 2-3 volts? Last edited by cargo on Wed Aug 22, 2018 8:52 pm, edited 1 time in total. So odd, it screams mod me, but then there's the issue of a digital OSD input to the jungle. Good luck with it. So you think this isn't a good candidate for a mix mod? Well the screen shot you posted says no rgb under 1v. Looks like digital to me. 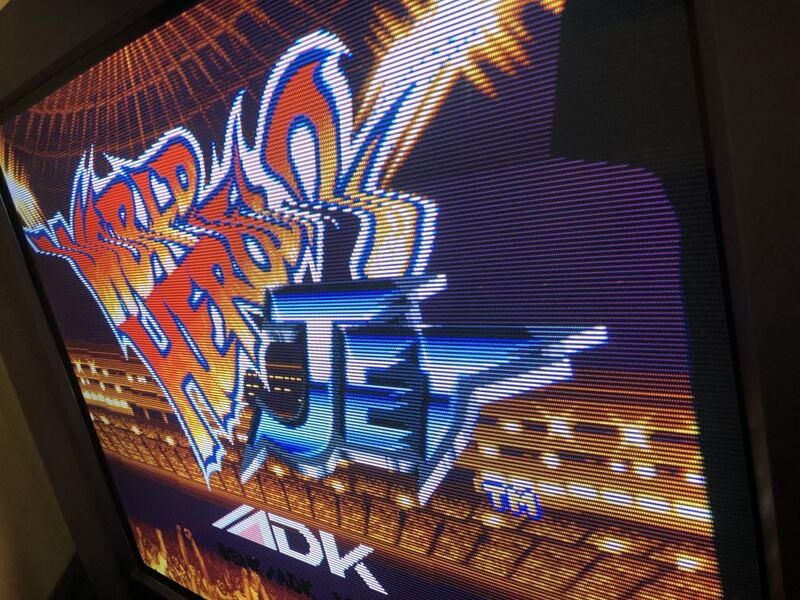 Heres some pictures of an NEC i just modded. All I did with this one was snip the OSD RGB pins and the jungle RGB pins then connected them up to my mix circuit. Also heres a pic of an RGBS to composite converter I had to make to trick a modded LG set into RGB mode. If you feed these sets Csync they switch into Svideo mode, and all my consoles output Csync. Such a pain. So this little guy can output RGB Csync Composite video and Svideo. I made another neater one in a box inline of a scart cable, this was just a test one. RGB mod noob with a couple questions for anyone with a moment to spare. 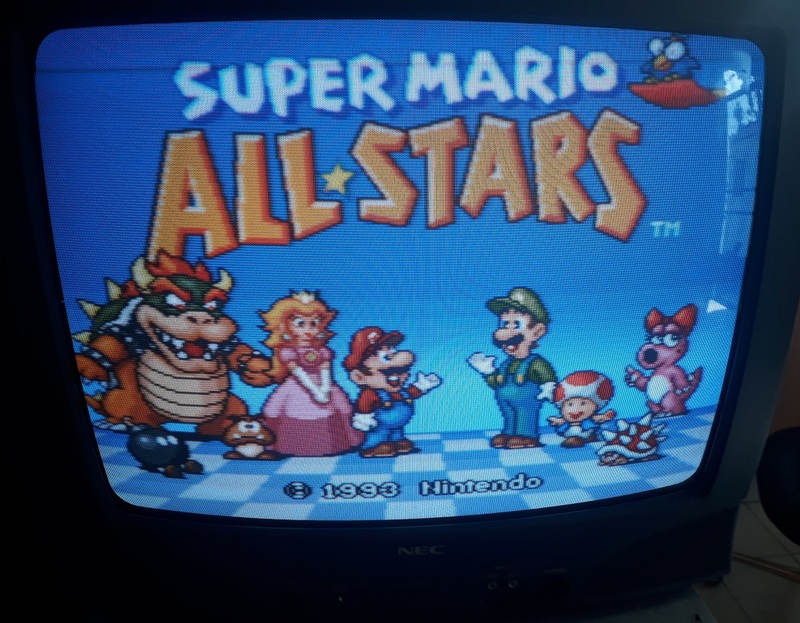 1) First, I'm gonna get the really stoopid question out of the way: If I use sync-on-luma scart cables, would they be able to function connected to a TV that was RGB modded with csync or sync-on-composite, or could this degrade the picture or cause it to not display at all? See, told ya it was stupid! 2) Would a 27" Sony (circa 1989?) that lacks s-video be too much for a novice RGB modder? I'm considering buying a mint condition black 27" Sony. These sets give off a PVM vibe and have a better aesthetic than pretty much any of the newer consumer sets IMO. On the downside, it has manually operated dials on the set to control sharpness, brightness, etc. No idea if these sets have a hidden service menu to adjust settings like geometry (probably not). Thus, adjusting the picture could prove difficult. It only accepts RF and composite as inputs, but likely has RGB located on the jungle chip. Not 100% sure on that, as it's service manual seems to be hidden from the internet. 1) Generally TV's aren't modded to accept a certain type of sync. In fact I always just pump sync through an AV port. Some TV's handle all sync types, some have problems with different types of sync. 2) If you tell us the model number/chassis number we can tell you if a TV can be modded. Without a schematic (or opening up the set and checking out the chips in the absence of a schematic) we can't know if a set can be modded. It comes down to each individual TV model/chassis whether modification is possible, cannot really generalise to 1989 Sony no S-video. I would, however, suggest that 1989 is an early model for using the techniques we champion on this thread. Hey, I'm trying to do an RGB mod on an Emerson SB-315. It seems like it should be possible as it says it has analog inputs, but I can't figure out which ones and how to set the input. Ok so this doesn't look like the jungle, I'll keep looking. Visit Tinkerplunk for mods, repairs, and custom PCBs! Follow the RGB lines and you'll get to the Jungle. I'm not sure but from the schematics I'm finding for chassis that use this chip, it looks like this chip generally expects Digital RGB signal for OSD. It MAY be able to be changed to accept analog RGB in service menu but I can't promise anything. two Emerson questions in one night, I just picked up a free emerson CR202EM8 manufactured in 2008. Would anyone be willing to take a look and see if this TV would be a good candidate for RBG Mod please? Here is a link to the service manual with all the diagrams. RGB signal injected into the jumpers between the OSD chip and the JUNGLE chip. no modifications to the original signal coming from the OSD chip and there is the wave on the screen. 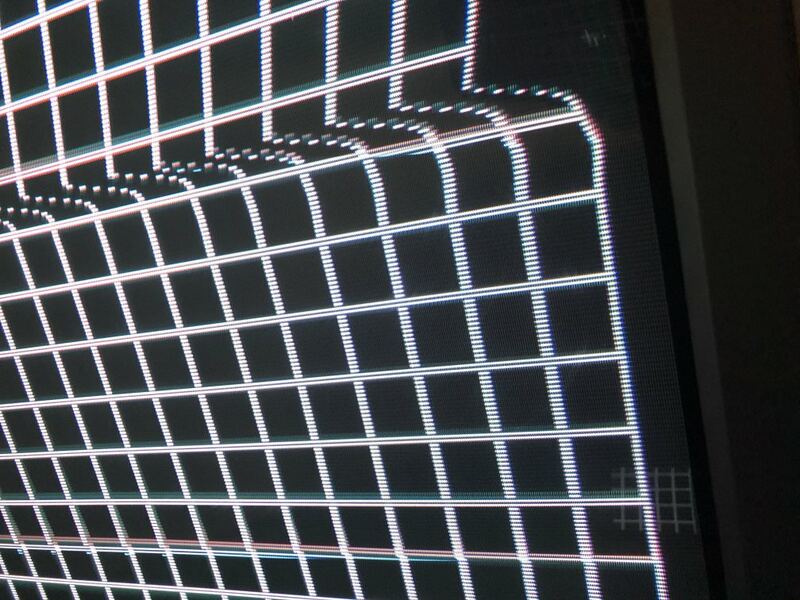 cut the jumper so only the injected RGB signal from raspberry pi going through it, still wave on the screen.